Working as a Certified Nursing Assistant (CNA) is an excellent place to start if you’re looking for the fastest path to a career in nursing. 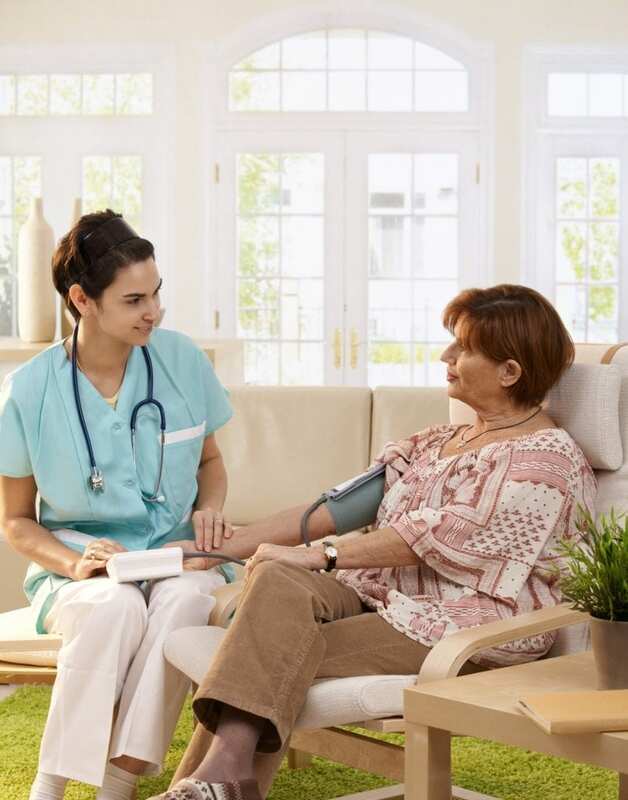 Practice as a CNA requires some formal training, though not as extensive as the preparation required to become a licensed practical nurse or registered nurse. Moreover, the training, certification, and experience as a nursing assistant will provide an edge in the competitive selection process that is commonplace in nursing programs. Working as a CNA is one sure way to determine if patient care is your calling. CNAs form a vital part of the health care team. Your success depends on your ability to recognize changes in patients health and well-being and monitor their response to medications and treatment. Under the direction of a nurse, a nursing assistant will tend to the daily needs of the patient, including bathing, grooming, and dressing, serving meals, making beds, moving patients, toileting, emptying bedpans, answering calls for assistance, and answering questions the patient might have. Nursing assistants form close relationships with their patients, so they may be the ones who most often share critical information or offer comfort in time of need. CNA classes combine an education of basic nursing principles with an abundance of practical learning experiences in a supervised clinical setting. The programs are available in proprietary schools, vocational colleges, community colleges, high schools, and rehabilitation centers. Programs graduates may apply for eligibility to take the National Nurse Aide Assessment program (NNAAP) to be added to the Georgia Nurse Aide Registry. The mean annual salary for Nursing assistants in Georgia was $24,840 in 2016. The Nurse Aide Technical Certificate program at Wiregrass Georgia Technical College includes didactic and practical instruction to prepare students for the State Competency Exam. Graduates will receive a Certificate of Completion that will grant them eligibility to sit the National Nurse Aide Assessment program (NNAAP), which is required for addition to the Georgia Nurse Aide Registry. Students must complete 13 credits to graduate from the program. Course modules include introduction to healthcare, medical terminology, nurse aide fundaments, and diet and nutrition for allied health. The cost of completing 13 credits is $1,399 including activity, technology, safety, and instructional fees. South Regional Technical College’s Nurse Aide Technical Certificate of Credit includes classroom instruction, laboratory practice, and clinical experiences to prepare students to provide safe and competent care in long-term care facilities, hospitals, community care facilities, and home health care services. During the program, students will learn proper hand washing techniques, measuring vital signs such as respiration, pulse, and blood pressure, infection control, disease prevention, and catheter care. Course modules include introduction to healthcare, medical terminology, nurse aide fundaments, and diet and nutrition for allied health. Graduates will receive a Certificate of Credit and will be eligible to sit for the National Nurse Aide Assessment program (NNAAP) to be added to the Georgia State Nurse Aide registry. The duration of the program is two semesters. Students must complete 13 semester hours to graduate from the program. The program admits new students at the beginning of each semester. Tuition, fees, and books cost $3002. In collaboration with WorkSource Southwest Georgia, Archbold facilitates a nursing assistant training program to prepare adults to meet the need for CNA professionals in Georgia. Candidates selected for admission will work as Archbold employees during the nine weeks required to complete the program. The curriculum requires completion of 140 hours of theory and practical instruction in accordance with the Georgia State requirements for nurse aides. Graduates will be eligible to sit the State Certification Exam to become a Certified Nursing Assistant. They will be offered a full-time position with Archbold at one of the nursing homes, where they will work 8 to 12 hour day or night shifts during the week, weekend, or holidays. Applicants to the program must undergo an intensive screening process and cannot be enrolled in other courses for the duration of the program. Admission is limited to 10 students. Classes meet 4 hours a day for the first 8 weeks and 8 hours during the final week for the clinical rotation. The CNA program is partially funded by a federal grant from WorkSource Southwest Georgia. The Nurse Aide Technical Certificate of Credit at Albany Technical College blends classroom theory and clinical experiences to equip adults with the skills to provide a full range of services under the direction of a licensed nurse. Students learn how to take vital signs, collect lab specimens, assist patients with the activities of daily living, observe and chart patient information, practice with the legal and ethical guidelines, and collaborate and communicate with the health care team. Course modules include introduction to healthcare, medical terminology, nurse aide fundaments, and diet and nutrition for allied health. Students will participate in numerous outreach activities in the community as part of the training. Graduates may apply for the National Nurse Aide Assessment program (NNAAP) to be added to the Georgia Nurse Aide Registry. Students admitted to the program will pay for tuition for 13 credits plus expenses for fees, textbooks, and supplies. Graduates of the Nurse Aide Technical Certificate of Credit program at South Technical College will be prepared to care for patients in medical and surgical hospitals, community care facilities, and home health facilities. 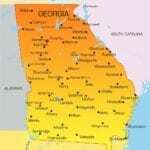 They will need to apply to take the National Nurse Aide Assessment program (NNAAP) to demonstrate their competency to be added to the Georgia State Nurse Aide Registry. The course credit hours/modules are Introduction to Health Care (3), Diet and Nutrition for AHS (2), Allied Health Sciences (2), and Nurse Aide Fundamentals (6). The Nursing Assistant program at South Georgia Career Center admits new students every month. The duration of the program is 17 days. Course topics include anatomy and physiology, infection control, vital signs, anatomy and physiology, rehabilitation and restoration techniques, personal hygiene, patient transfers, range of motion, safety and emergency procedures, Alzheimer’s care, and hospice care. Day classes meet Monday through Wednesday 8:00 am to 12:30 pm. Tuition for the program is $600.